Have you signed up for Klout? I kind of love it. If you don't want to spend more time on the Internet and social media, it won't be your thing. At first, I thought it was just a nifty method of gauging how I use Facebook, Twitter and other tools. 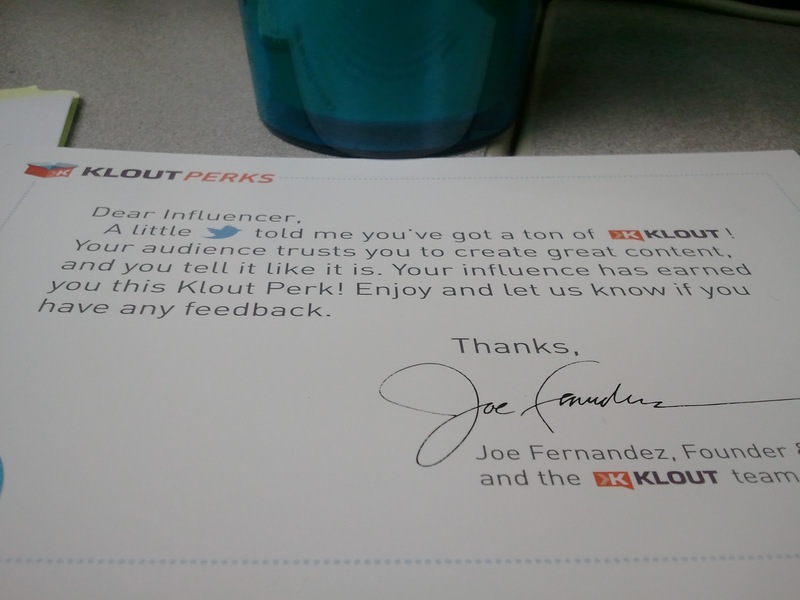 Then I got my first Klout Perk. It showed up on my doorstep via next-day shipping with an ice pack. Undoubtedly, this was not cheap to mail. 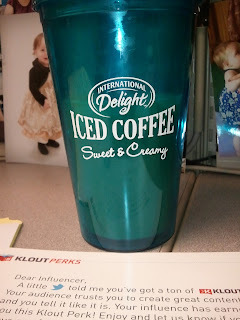 International Delight is testing out a new packaged Iced Coffee, and I get to sample it before it hits the shelves! 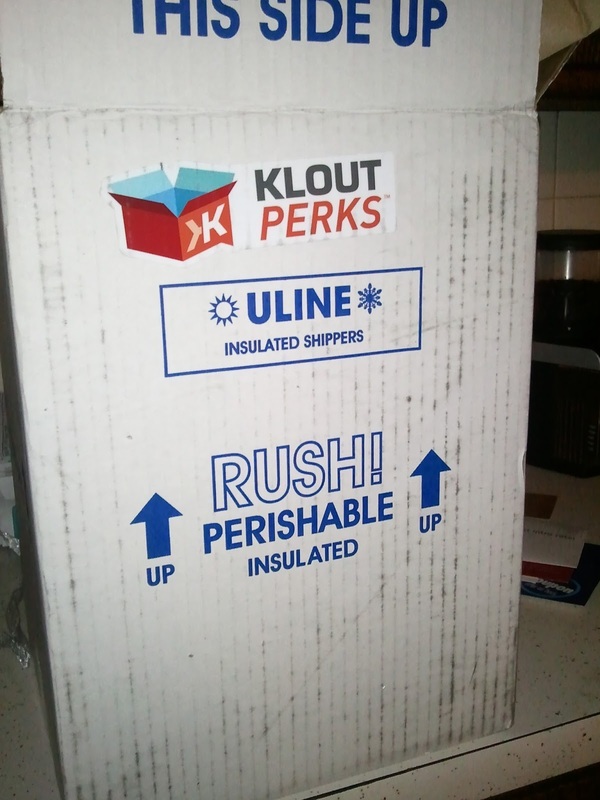 It arrived in a plain white half-gallon container like soy milk comes in. No images or even nutrition facts. I must say, it's a little awkward to not know the nutritional breakdown of something packaged, but it was nice to just sample the drink without being influenced by the packaging. They also included this nice cold-drinks cup. I've been considering buying one for more than a year, so now I don't have to. It's almost as if they knew how to win my heart. The letter the comes with it is adorable. They do stress that I can write good things, bad things, or nothing at all about the sample. I just have to let you know that I received it for free. Done. My take on this? It's like buying a half-gallon carton of Starbucks bottled Frappuccino. Tasty, but more creamy and sweet than coffee-like. I think I'm going to try steaming it and adding a shot of espresso. Depending on how it's priced when it hits the shelves, I may occasionally buy it and keep it in the back of the fridge for days when I don't have time to make my usual latte. But I wouldn't drink it every day, largely because I suspect that it contains a lot of fake ingredients I try to avoid most of the time. The coffee taste is subtle enough for someone who doesn't LOVE coffee, but there's enough caffeine in it to get my morning fix. 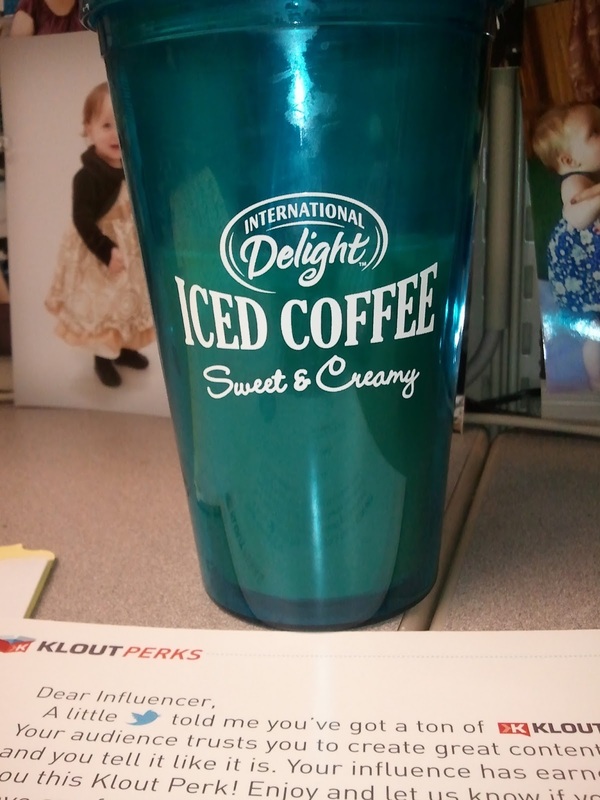 A coworker tried it and said it tastes like a Java Break drink with ice. Fellow KU grads may appreciate the nostalgia.